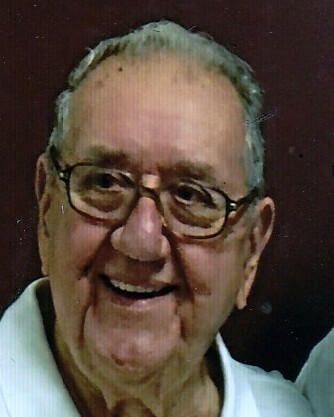 Neal Chapin, 88, a resident of the 16 Acres section of Springfield, died early Thursday morning, September 6, 2018 at Baystate Medical Center, with his loving family at his side. He was born in Elmwood, CT and educated in Springfield, a son of the late Henry and Annie (Perkins) Chapin and was a graduate of Springfield Technical High School and Western New England College earning his degree in Business Management. Neal was a veteran of the Korean War serving with the United States Navy and was the recipient of the Good Conduct Medal and the National Defense Service Medal. Upon his return to civilian life, Neal began working as the store manager for the former A&P Store on State Street for over 15 years. He later was a salesman for many years with the Pillsbury Company and retired from Cain’s Foods as the District Sales Manager. He was a longtime communicant of Mary Mother of Hope Church in East Springfield. Neal was the devoted husband and best friend of his late wife, Mary Elizabeth “Betty” (O’Brien) Chapin who died in April of 2007 and leaves two sons, Neal “Chip” Chapin and his wife Kathy, and Michael Chapin and his wife Kelly both of Springfield; three daughters, Kim Evans and her husband Daniel, Janet Lomas and her husband Rusty, and Sheila Greenia all of Springfield; nine grandchildren, Carolyn, Samantha, Elizabeth, Ryan, Daniel, Ashlee, Zachary, Katie and Caitlin; eight great-grandchildren; as well as many nieces and nephews. Besides his parents and siblings he was predeceased by his grandson Nicolas. Relatives and friends may call on Sunday afternoon, September, 9th from 4-7 PM at the Byron Kennan Cremation & Tribute Center, 1858 Allen St., in Springfield. His funeral will begin on Monday morning, September 10th at 8:30 AM from Byron Keenan Funeral Home, followed by a Liturgy of Christian Burial at 10:00 AM at Mary Mother of Hope Church, 840 Page Blvd., with Rites of Committal and Military Honors to conclude at Hillcrest Park Cemetery, 895 Parker Street, all in Springfield. Contributions in Neal’s memory may be directed to a veteran’s organization of one’s choice.